Do you have some favorite shoes that you can’t wear it because it’s too uncomfortable? Try these 10 Beyond Genius Shoe Hacks and Tips You Should Know. Whether you just buy a pair of new flat or heel, it always feels uncomfortable to wear it for the first time. Some of these tips will relieve you from foot pain when you’re wearing your favorite shoes! 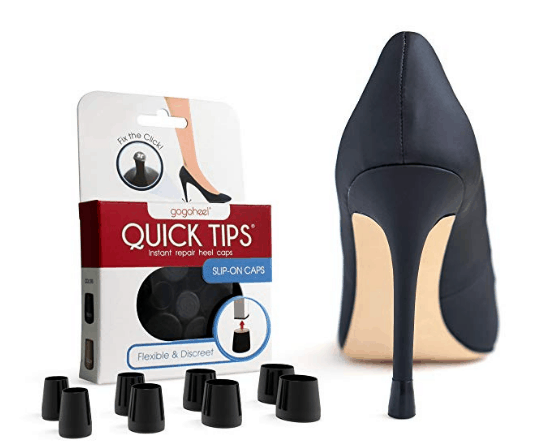 #1 The best hack for horrible heels? Tape your third and fourth toes together to help your achin’ feet. Okay, who doesn’t want to wear heels comfortable? Well, I do! I always have a difficult time to wear heels only for a couple hours during parties. You might be surprised what you can do with a tape and scissors. #2 Use full insoles for shoes. Any shoes can be more comfortable with Dr. Scholl’s DreamWalk Insoles. These inserts offer arch support and relieve ball of the foot and shoe pain. The great thing is that they have different varieties for any shoes such as heels, flats and even BOOTS! We all know that we are entering the cold season and a pair of good insoles would be a relieve! 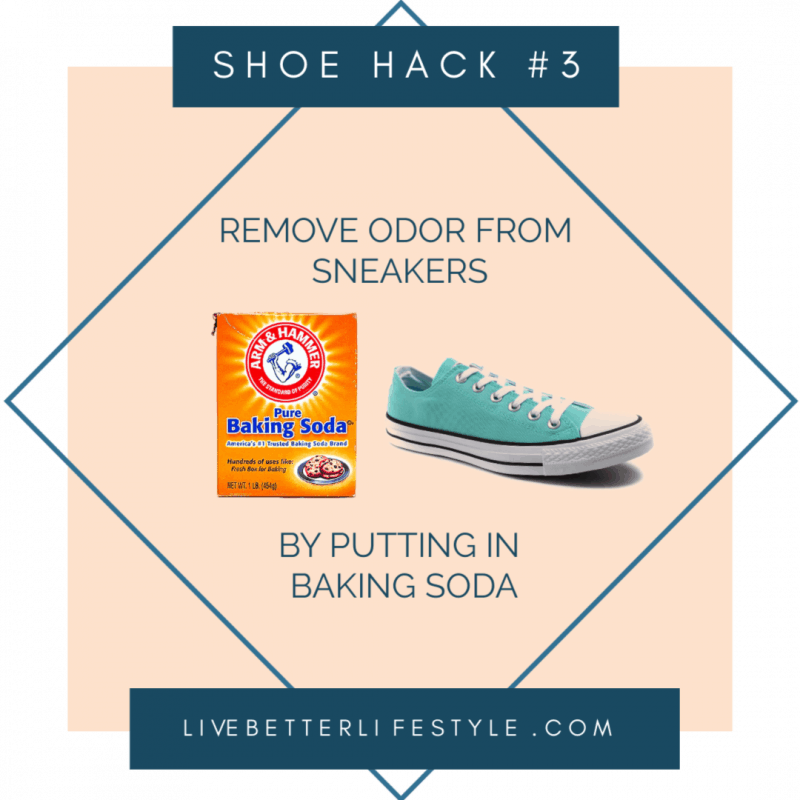 #3 Put baking soda in sneakers to absorb sweat and odors. You do not need to buy a special powder to remove odor from your shoes. Slide a coffee filter inside your shoes and spread some baking soda on top of it then let it there for some time. #4 Ever lose or busted the tip of your heel? Try Quick Tips. These GoGoHeel Quick Tips are A TOTAL GAME-CHANGER. Just $15.99 for 4 pairs. #5 Mr. Clean Magic Erasers are pretty much game-changers and are great at getting tons of gunk and dirt off your sneakers. 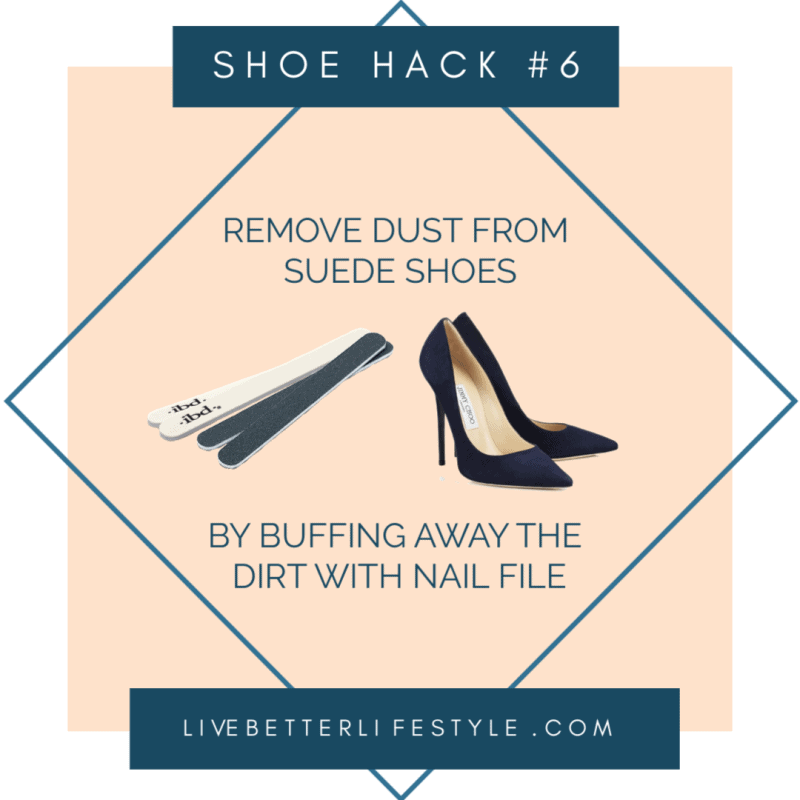 #6 Use a nail file to buff away tough dirt from suede shoes. Don’t know how to treat your suede shoes when it’s dirty? Buff away tough dirt to one side to prevent the suede from fraying and keep it clean. 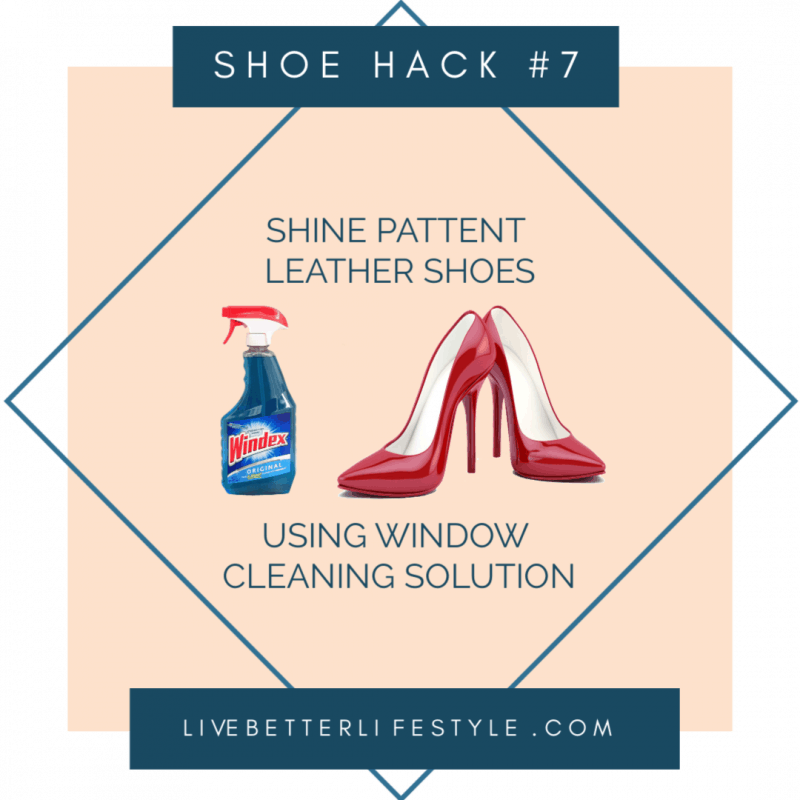 #7 Use window cleaning solution to shine patent leather shoes. I would never have thought of this, but now that I know, it makes perfect sense. Any other non-name brand glass cleaner will work too. #8 Stretch a pair of tight shoes by blow drying the tight area while wearing thick socks and the shoes. I tried this one for my tight flats and it works really well! What you need is thick socks, not thin ones. #9 Use lip balm as blister balm. 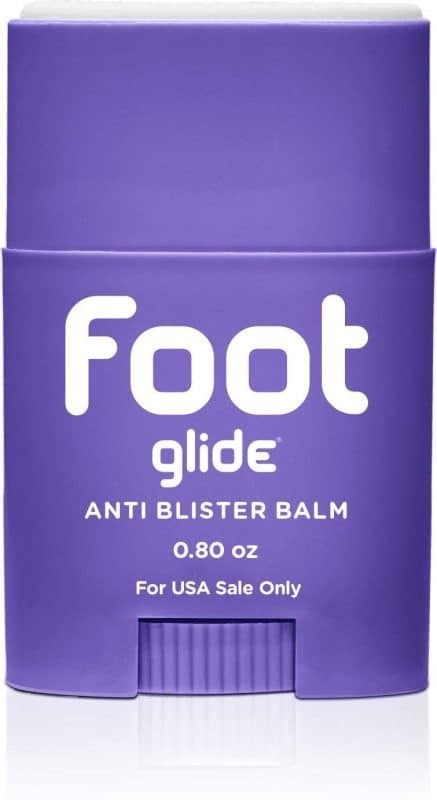 Or spritz on some BodyGlide Foot Anti Blister Balm, a special balm that dries to create a strong, protective barrier around your foot to prevent blisters. The great thing is that this balm great for all kind of shoes such as heels, flats or even sneakers. It also infused with Vitamin A and C to help soften skin and restore dry, chapped and chafed feet. Apply the balm and let it dry for a moment and then wear your shoes. #10 Affixing a couple adhesive bandages or a glitter glue to the bottom of your shoes to make your shoes less slippery. 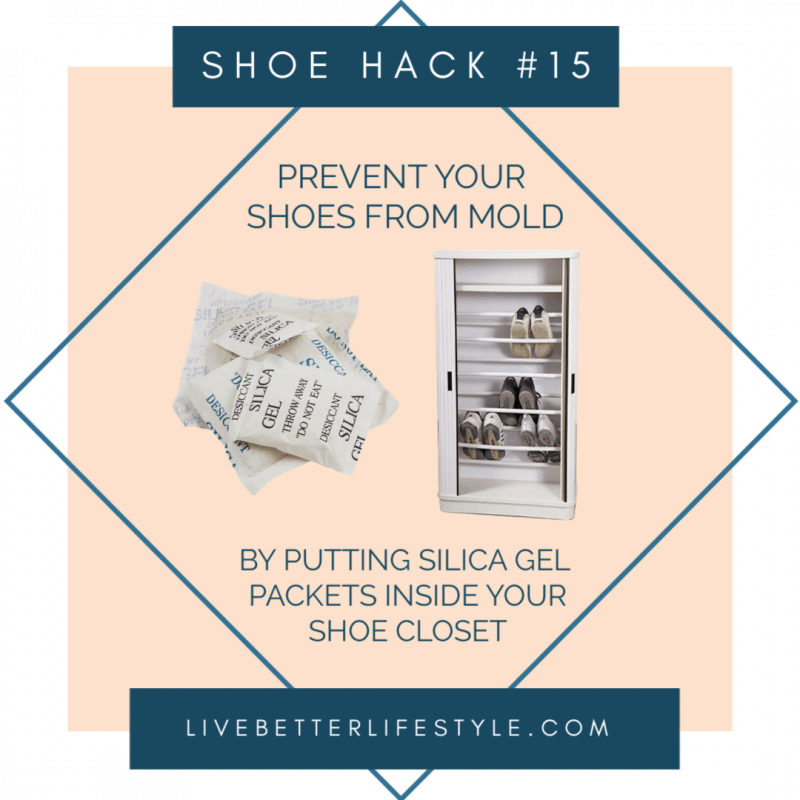 Unfortunately, not all shoes have a slippery prevention and to deal with that you can do this easy yet fun shoe hacks! Do you have those special pairs of shoes that are truly valuable and no matter how long or how much you’ve used them, you just can’t imagine the drama of it getting damaged with the rain or water in general? Watch this video and learn how to waterproof it! I try these with my husband shoes and it really WORKS! 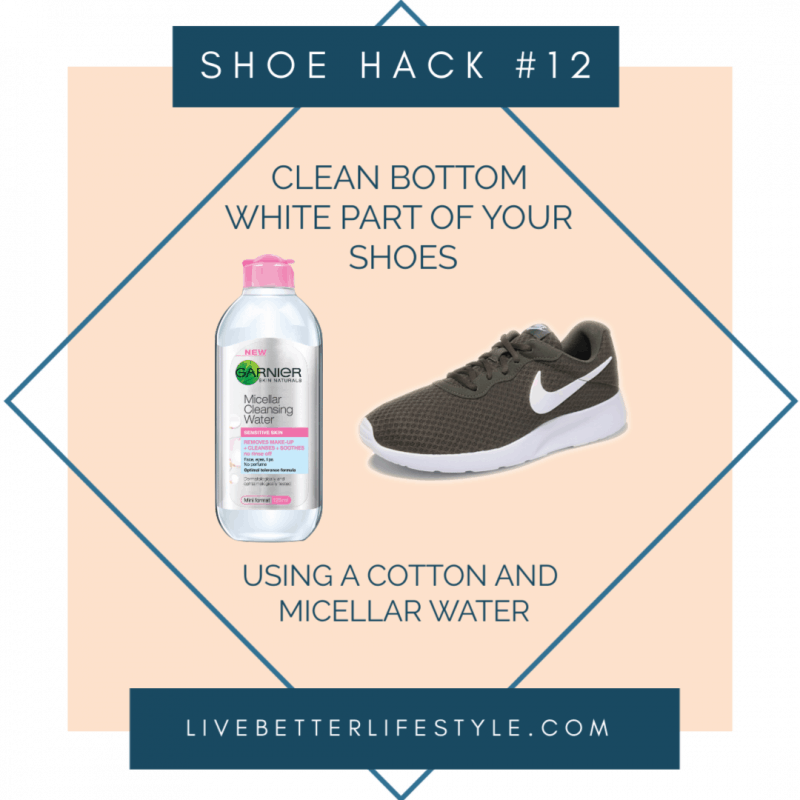 Use a cotton and Garnier micellar water then scrub away the dirt. 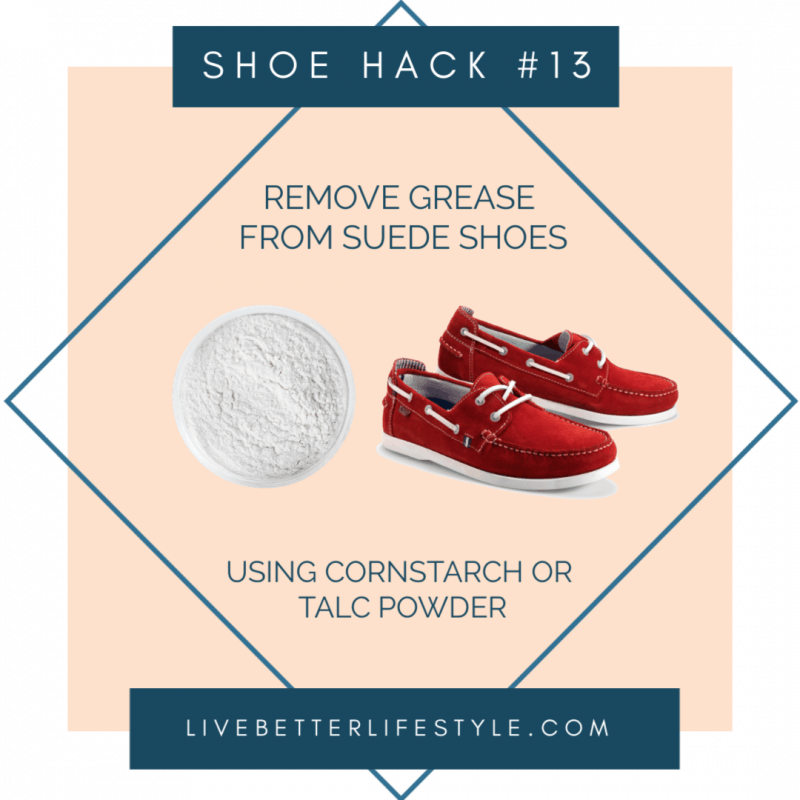 Put cornstarch (or talcum powder) on suede shoes to remove grease stains. Do you have the same problem as me? I usually sweat my feet inside the shoes and it will leave a not so great odor. To prevent that, you can spray some dry shampoo inside the shoes before using it. When you bought a food with silica gel packets inside of it, keep it and put it inside your shoe closet. It will keep your shoes from the mold. Which shoe hacks that you would want to try for yourself? Share your thoughts and leave a comment down below.